KANSAS CITY, Mo. 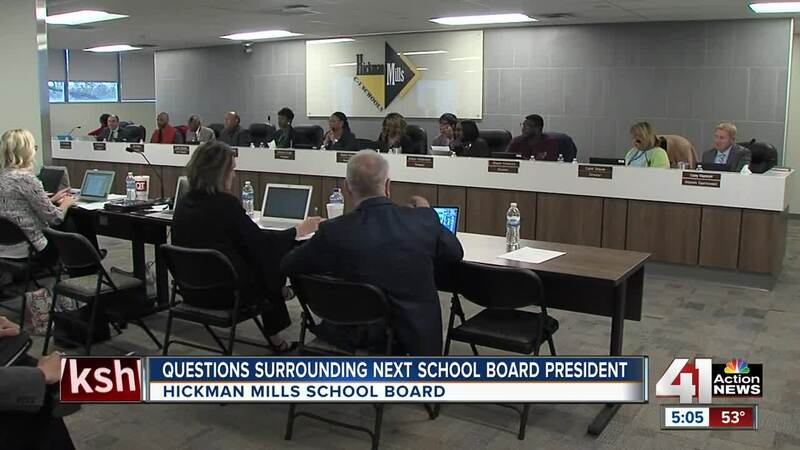 — John Charles Carmichael said he wanted to serve on the Hickman Mills School Board to make a change. He said he didn't realize how political the school board was until he almost became a board member himself. “My name on the ballot was a mistake, the mistake of one regulation not being caught by anybody,” said Carmichael, whose family moved to Kansas City from Florida in October. Carmichael, a retired university band director and career educator, won a seat on the board in the April 2 election, even though a Missouri statute requires school board members to have lived in the state for at least one year. Carmichael said he was transparent about his residency and had tried to get his name off the ballot before the election. He said he even sent a letter to the district superintendent in February — before he knew about the statute — saying that he felt he needed more time to become assimilated. “I was called by several people once they knew that I was attempting to do, and they encouraged me not to,” he said. Chris Gahagan, an attorney for the school district, told 41 Action News that several weeks before the election, School Board President Wakisha Briggs instructed him to stop helping Carmichael remove his name from the ballot. Gahagan said that he was told the candidate had to do it himself. “After I was elected, then became a series of calls. And one of the calls suggested that I come to the board meeting, get sworn in and then hand in a letter of resignation,” Carmichael said. Under school board policy, if a board member resigns, the board then chooses an appointment. That raised a red flag for Carmichael. “I think that’s the nature of politics, that there’s strategy,” Carmichael said. Briggs did not return a call from 41 Action News. Carmichael said he felt that the candidate who received the next highest number of votes in the election should serve on the board. That candidate was social worker Cecil Wattree. Carmichael and Gahagan filed an affidavit after the election. The judge signed it, allowing Carmichael to be disqualified altogether. On Thursday night, Wattree ended up taking the oath to serve on the board. Wattree said his priority is to speak out for change and approach education from a social and emotional aspect. He said he aims to improve the district and parent involvement. “I am on the board as of right now, and I’m going to do my best just to make sure that everything I do is for the good of the shareholders and the community of Hickman Mills,” Wattree told 41 Action News. Carmichael said he may run for the school board next year, but until then, he wants to be a pro bono music mentor for Hickman Mills students.